﻿ W Chicago - Lakeshore, Chicago (IL) | FROM $175 - SAVE ON AGODA! "For me, the location and view of the lake was the best part..."
Have a question for W Chicago - Lakeshore? 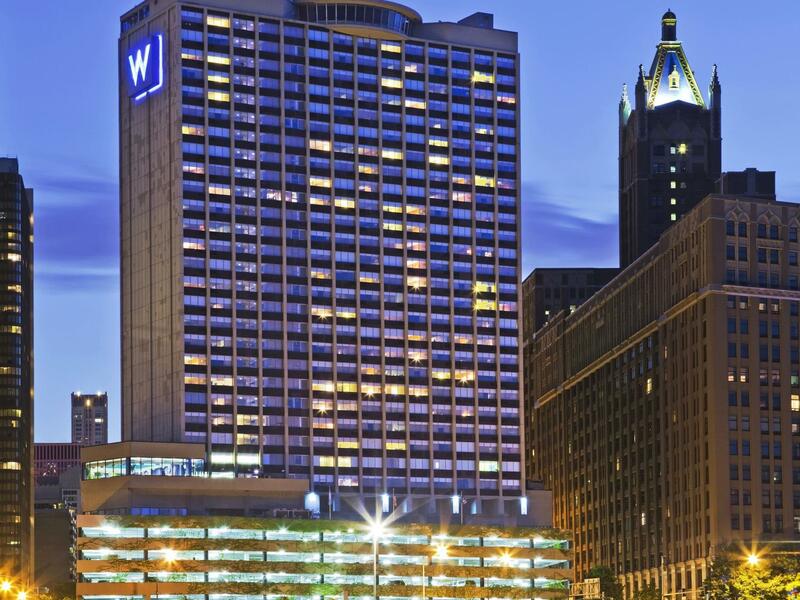 W Chicago Lakeshore, located in Magnificent Mile, Chicago (IL), is a popular choice for travelers. From here, guests can enjoy easy access to all that the lively city has to offer. No less exceptional is the hotel's easy access to the city's myriad attractions and landmarks, such as Lake Shore Place, Ohio Street Beach, Lake Point Tower. W Chicago Lakeshore also offers many facilities to enrich your stay in Chicago (IL). Top features of the hotel include 24-hour front desk, facilities for disabled guests, express check-in/check-out, luggage storage, Wi-Fi in public areas. 520 rooms spread over 33 floors provide a warm and pleasant home away from home. Modern comforts such as television LCD/plasma screen, bathroom phone, linens, mirror, towels can be found in selected rooms. The hotel offers an excellent variety of recreational facilities, including fitness center, indoor pool, spa, massage. When you are looking for comfortable and convenient accommodations in Chicago (IL), make W Chicago Lakeshore your home away from home. "The proximity to the lake, Navy Pier, and the other Streeter..."
For me, the location and view of the lake was the best part about the place. I didn't make any use of the facilities. The room was comfortable but standard. The staff was pleasant. The proximity to the lake, Navy Pier, and the other Streeterville/Loop attractions are what made the visit for me. Highly recommend if location is your top priority. The hotel is very close to navy pier, within a short walking distance. The room was spacious with 2 double beds. The bed sheet was crisp and the pillows were super comfortable. Bliss products in bathroom was bonus. There wasn't complimentary coffee or tea in the room but they delivered on request. It states the room rate was including mini bar but there wasn't any drinks even drinking water in the fridge. Staff wasn't smiley but process of check in/out was very fast. There was some music festival during my stay so the rate was a bit expensive. Overall it was satisfactory.